Don't miss your opportunity to own this great 1 bedroom, 1 bathroom condo in Courtyard at Yardarm. This unit is fully furnished, and is being sold with a washer and dryer included. Tile flooring and crown molding flows throughout the main living areas. The kitchen is equipped with white cabinets with a unique backsplash, all appliances, and a convenient dining/breakfast nook with a large open window to the main living area. The living room is very spacious with plenty of natural light. The current tenant has built a temporary wall in the living room to add an extra sleeping space, which can be easily removed or left in the unit upon buyer's request. Enjoy afternoons on your back patio with friendly neighbors. 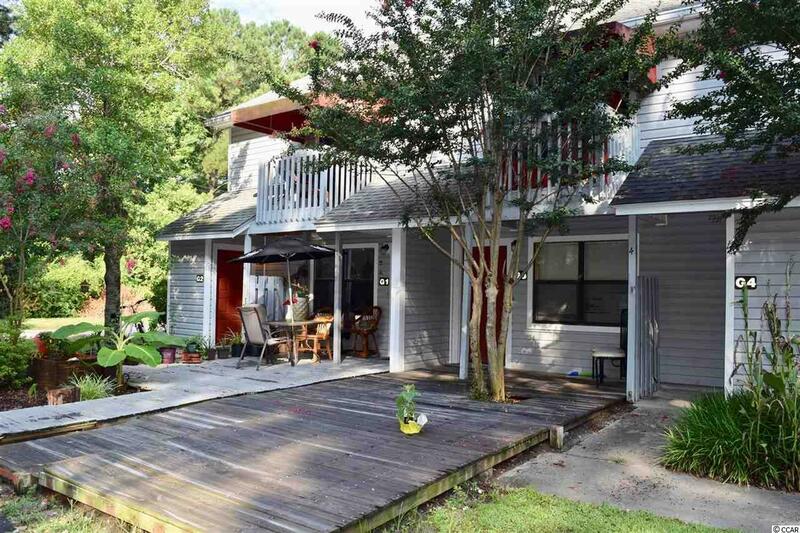 Courtyard at Yardarm is perfectly situated near all of Myrtle Beach's most famous dining, shopping, golf, and entertainment attractions, and just a short drive to the beach! Schedule your showing today!